The CEO of Sony Computer Entertainment America talks about the launch of the PlayStation 4 and how it stacks up to competitors — both in the living room and in gamers’ pockets. Rovio Entertainment Ltd., the maker of the wildly popular Angry Birds mobile game franchise, has lost another top-level executive to the burgeoning Helsinki, Finland, mobile gaming startup scene. Rovio chairman and angel investor Kaj Hed has invested an undisclosed amount in Goo Technologies, a startup focused on high-end game graphics for HTML5. Hed owns 70 percent of Rovio, but his private investment firm Moor is legally separate from the Angry Birds studio, where his son Mikael Hed is the CEO. Goo Technologies is about a year and a half old, and focuses on high-quality graphics for cross-platform games, made possible via HTML5 and WebGL. Demos of its work are available here. Tens of millions of players? Cool. But finding them on more than 10 platforms at the same time? OMDG. 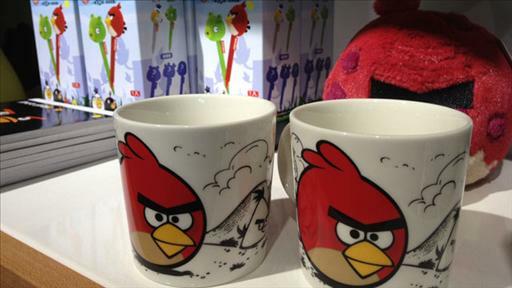 Rovio’s Next Big Game? Angry Birds Star Wars, Redux. May the birds be with you? A clever marriage of gamecasting technology with phones’ front-facing cameras. Rovio has a new offering in its digital toy box that could signal a new direction a company fighting to etch out a broader identity.